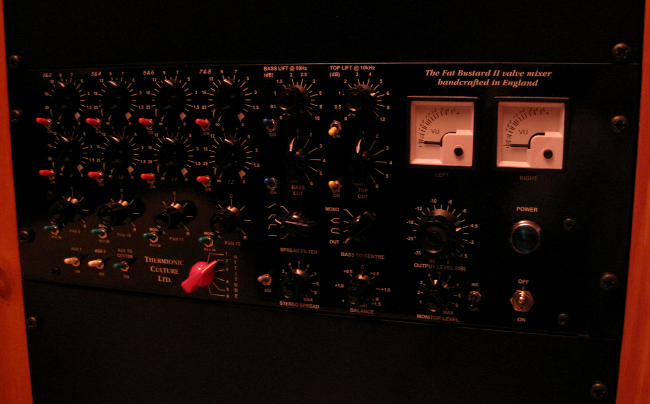 The Thermionic Culture Fat Bustard II is an analog vacuum tube summing mixer with many additional features. Aside from the mixing stage, it also contains a rather unique vari-slope EQ, stereo spread controls, as well as an attitude control, which can really beef things up. We used this as our main mixer during our Direct-to-Master recording sessions. It has now been replaced by the limited edition, Green Fat Bustard, built to our specifications.